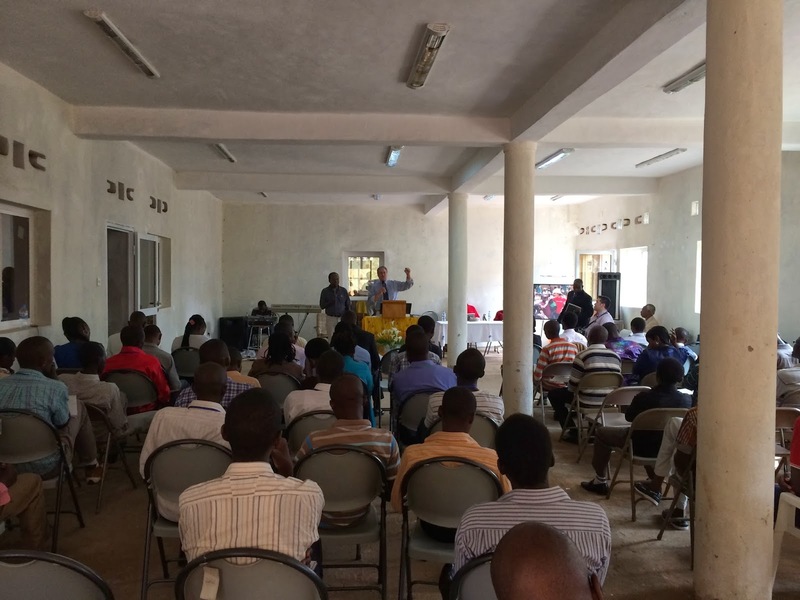 Earlier this month a few of guys from the States were invited to Huye, Rwanda to teach in the Second Annual East Africa Apologetics Conference. It was a huge honor to speak to the 125+ university students who gathered from 6 different countries to attend this conference. While in Huye I also taught a college rally and two local churches. For the conference my topic was: Is Jesus The Only Way to Heaven? This is a great question people have been asking for thousands of years... its also one of the toughest questions to ask. If you simply answer "Yes" it can make a Christian sound pompous, when in actually its a statement of humility. I could go on about the answer to the question but I want to share what I learned while teaching. I learned when teaching in a foreign country bring half the material you plan to cover. For example: I was allotted approximately an hour and a half for the conference. I brought about 10 pages to cover which would normally take me 45 minutes. This allowed for 45 minutes for translation for those who didn't speak English. Probably the biggest lesson I learned was; I should have introduced myself more. I prefer to talk about myself less but I think my talk would have been more effective if I shared about my life for 5-10 minutes at the front end of my talk. Basically I wish I would have shared my testimony so it would have given me more creditability. On Sunday morning I was invited to preach in two local churches; an Assembly of God church at 8am and an Anglican church at 10:30am. You probably couldn't have someone preach in two church bodies that are much different on a given Sunday. It was a huge blessing to share God's word in Huye with these bodies of believers. The Anglican church sticks out most to me. It was a small thatch church located deep in the bush. The church was constructed out of trees, to support it, had a tin roof and the walls were thatch. I was so impressed at how many people they packed into the room. The kids had a small mat they sat on near the front. The youth sat just behind them and everyone else sat on wood benches. There was no sound system, no lighting board and no electric guitar. That morning we worshipped God as the body of Christ and I shared a word of encouragement from 1 John. I can't believe I went to Rwanda and I feel so blessed to have been able to teach in the conference and the local church.